January is always a little blah to me. The holidays are over, spring is promised soon but it’s still cold and everything looks cold and dead. It’s a little depressing, very busy and often overwhelming. This year I decided I was not going to get the January blues, I was going to enjoy every day. To fight this battle, I’ve been making little mental notes of what truly brings me joy and how to incorporate small moments of joy throughout my day. I have never, ever, ever been a morning person yet I was determined to become one. I knew for the sake of my life, business and happiness I had to find a way to make mornings work. RJ leaves for work most mornings between 5:30-6: 30 am and he is no quiet mouse in the mornings. I used to stay up late working with hopes of sleeping a little later the next day. Long story short, that never happened and led to me being very tired. Finding a morning routine has been crucial in helping me find more joy in my day. For me, this meant waking up early. I found that I like to have my coffee in bed with Doodle and just sit for at least 30 minutes before starting my day. This means I usually wake up at 5 am, make my coffee and then retreat back to bed until 5:35ish. I then start doing blog work until around 7. If I wake up later, I find myself rushed, overwhelmed and frustrated. Sacrificing an extra 30 minutes of sleep is 100% worth not being rushed every day. Maybe you’re the opposite or maybe you’re the same- either way, experiment and find some time to figure out what works for you. Speaking of beds, creating a cozy atmosphere has been huge for me. Growing up I never had a security blanket but as an adult, it’s one of the best things I’ve ever done. I got this blanket almost two years ago and it has become my best friend. I sleep with it every night, travel with it, cozy up with it after work- seriously I am never without it. It is perfect for instantly calming me down. I know this exact blanket is a little pricier but the amount I use it makes it 1000% worth it. We actually love it so much that we have two, one for myself and one for RJ. 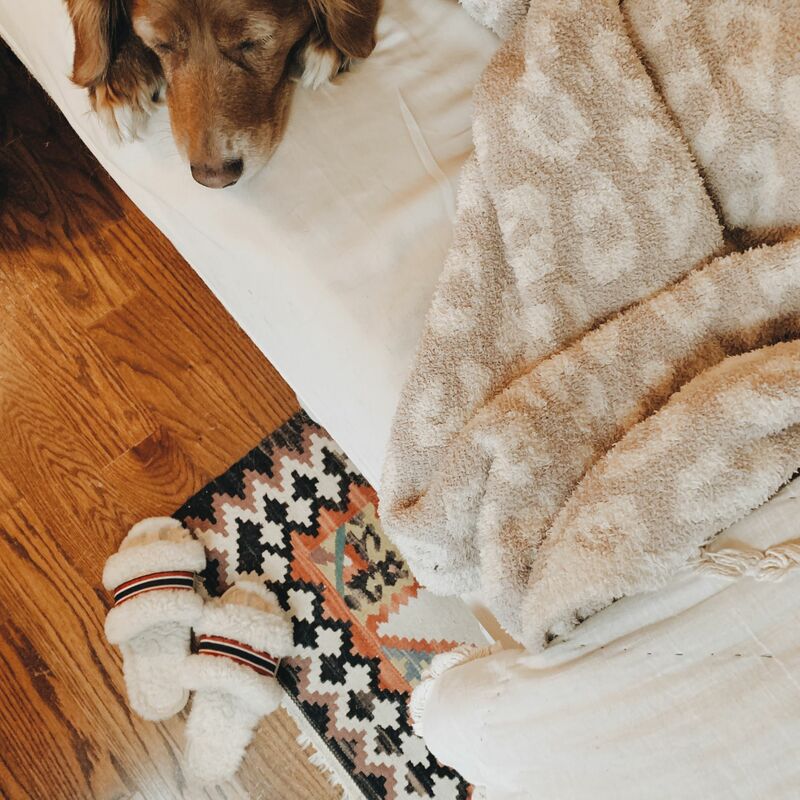 A few other cozy pieces I love are my Emu Slippers. I love all slippers but these are my favorite, favorite. I’ve had them over a year and they hold up SO well. They are so soft and cozy. I actually have nightmares about losing one and not being able to replace it haha! I look forward to coming home from work and slipping these on. Creating joy around the house in small places helps every day have elevated happiness. It’s often the smallest tweaks that can make the biggest impact. In our kitchen, I absolutely despised the dish scrubber. I know that seems like a crazy thing to worry about but when you use it almost daily, it is something you think about a lot. Before we had the cheap plastic scrubber from Target but I finally had enough and decided to purchase a new one. I went on Amazon and found this cute and practical bamboo scrubber brush. Not only does it look better and less cluttered on the counter it also feels cleaner than the plastic handle that stored water. It really makes me happier to do dishes and brings me joy when I see it. 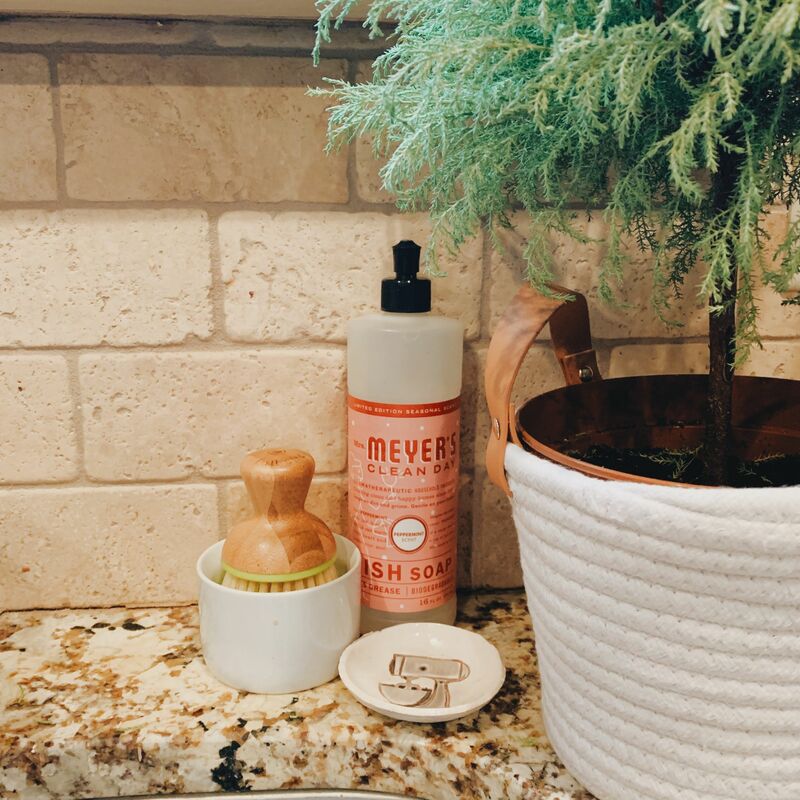 Changing out something as simple, cheap and easy as our scrubber brush led me to think about ways to simplify and beautify different products in our home. I recently ordered this pack of Amber glass pump bottles. I’m going to use these in place of the clutter of plastic bottles we have everywhere. I will be share to post photos on Instagram when they arrive. Another chore I no longer dread? Laundry! Want to know the secret? I found a detergent I cannot live without. I live for the TYLER ‘High Maintenance’ Scented Detergent. Seriously, it’s my jam. 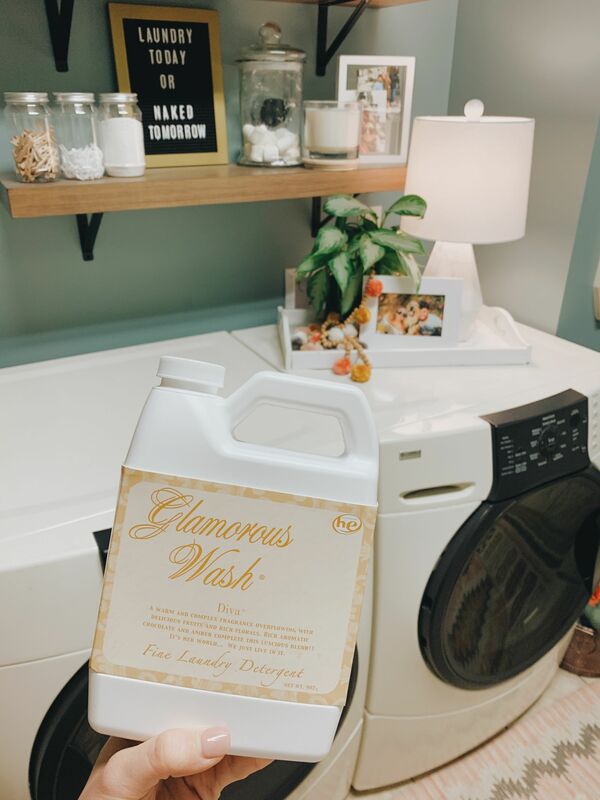 It’s pricier than Tide but if it makes my day better, I’ll sacrifice a few Starbucks coffees in order to get this detergent. I get compliments on the scent at least once a week. It’s so fresh, light and joyful. I do about two loads of laundry a week and this will last me about 4-6 weeks. Swap containers when possible. Instead of using plastic laundry baskets, use wicker ones. Take food out of the paper box and place in a cute yet functional bin, etc. Add plants! Both faux and live, they make your home look more alive and fresh. Check out this post for my newest plant addition. Add layers for a cozy look. I love layering things to create both character and coziness. A few of my favorite things to layer are rugs, blankets, pillows, and photos. 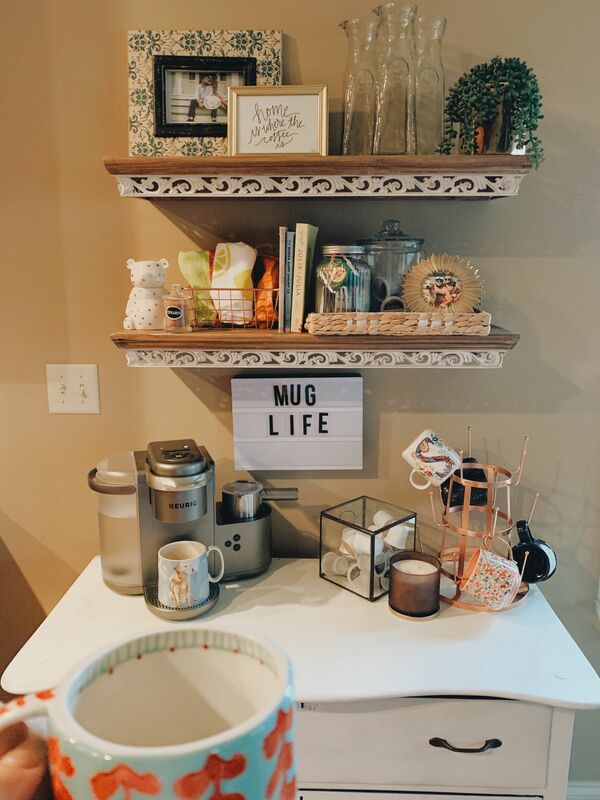 Declutter and clean! 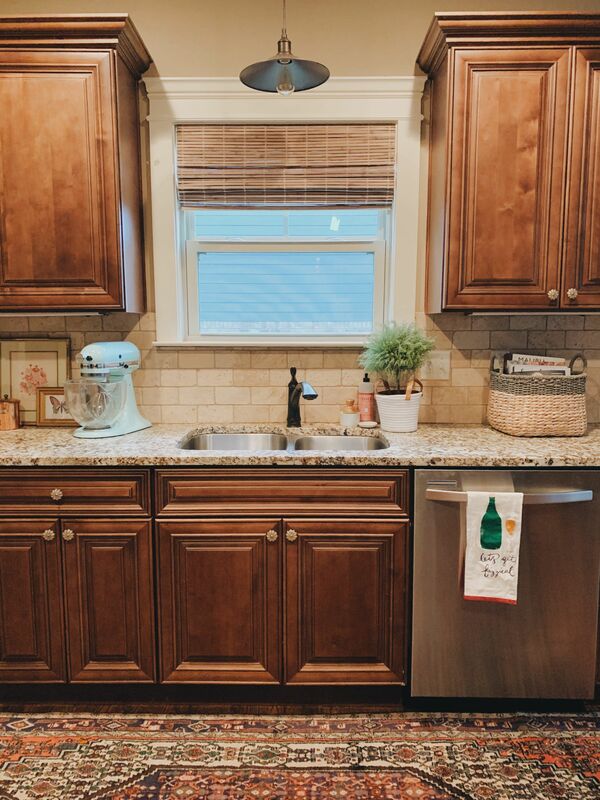 A clean home is a happy home. If you have too much junk piling up- DONATE IT! I swear you’ll feel so much better. 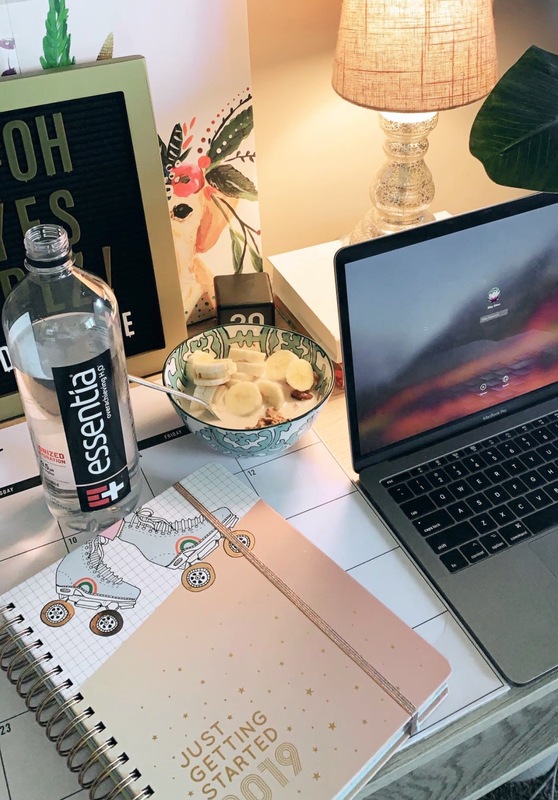 I shared a peek into my new office in this post, which definitely brings me more joy. Having somewhere that’s organized, functional yet cute and that’s just mine makes my day smoother, happier. I also like having a planner that is both adorable and functional. The first planner I purchased this year did not function well and I wasn’t happy. Once I found this planner (that’s also only $14!! ), I feel so much better about my day. Bonus: it has SO many stickers. New Year’s Resolution: My Word for 2019. Lighting a favorite candle in my room when I get home from work! Oooooh that is such a good way to find joy! What is your favorite candle?